Liverpool Gin is a popular Gin available from Amazon.co.uk in 70cl to buy online. Visit Amazon.co.uk for the best price for 70cl of Liverpool Gin or compare prices on our other Gin products. Liverpool Gin is a premium organic product made from scratch using only pure certified organic botanicals, producing a highly distinctive, aromatic drink. Crystalline in appearance and luscious in body, it gives intense juniper and complex, well-balanced botanical flavour over a rich cereal note with a bright citrus finish. The bottles are hand fitted with a cork and a wax capsule and labelled on site and each bottle is individually numbered. Where to buy Liverpool Gin ? Liverpool Gin Supermarkets & Stockists. 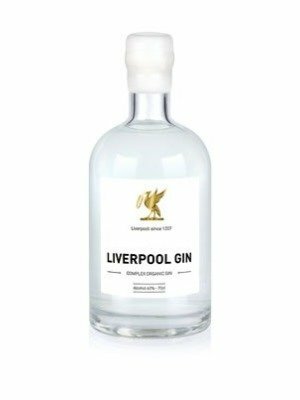 You can buy Liverpool Gin online in most retailers and find it in the Gin aisle in supermarkets but we found the best deals online for Liverpool Gin in Amazon.co.uk, 31dover.com, DrinkSupermarket.com, TheDrinkShop, and others. Compare the current price of Liverpool Gin in 70cl size in the table of offers below. Simply click on the button to order Liverpool Gin online now.